In March 2019, we will be sunsetting the NewGradPhysicalTherapy, NewGradOccupationalTherapy, and NewGradSpeechTherapy blogs and migrating all of their content and resources to our parent company website, CovalentCareers.com. For now, the social media pages for each new grad brand will remain live and active. The biggest reasons for this change? 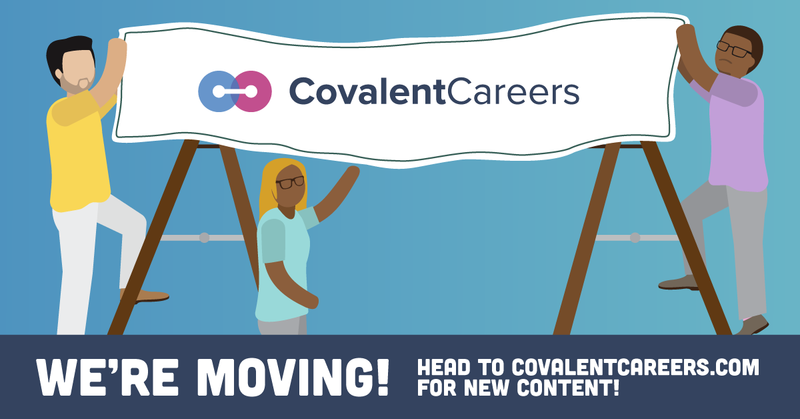 To provide our readers with higher quality content and new web-based career development tools—both of which are only possible if we migrate to the CovalentCareers ecosystem. We understand this may come as a shock, but keep reading. Going forward, our efforts in the physical therapy space will be supported by a fast growing team of fifteen San Diego-based employees rather than solely conducted by the small team that operated NGPT prior. The result will be a significantly more valuable experience for you, our reader. Just like you, we’re sad to see newgradphysicaltherapy.com go away but this domain name and logo are the only elements going away. We will never remove our primary focus from the student and new grad. To be transparent with you, we were getting spread way too thin managing 5 different brands and we weren’t delivering the value we aspired to. Think of it as a name change, nothing more. The NewGradMedia brand started 5 years ago and it grew to what it is today thanks to you, our loyal reader. On behalf of our entire team, I want to give you a truly authentic thank you from the bottom of my heart. Welcome to the next phase of our evolution—I know you’re going to absolutely love what we have planned! Don’t hesitate to reach out to me with any suggestions or concerns. You can also visit our feedback form and let us know if you have any questions!